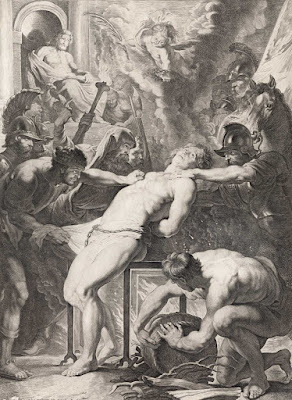 “The Martyrdom of St Lawrence”, 1621, after the painting by Peter Paul Rubens (1577–1640) in the Alte Pinakothek, Munich, published by Lucas Vorsterman I. Note: the curator of the BM points out that there is also a preparatory drawing by Van Dyck (?) in The Metropolitan Museum, New York. Lettered within the image borderline at bottom left, "Lucas Vorsterman sculp. et excud. Ao. 1621", in lower margin four lines Latin dedication by Rubens to Laurens Beyerlinck, left the privilege CPRCPB&OB, right "P. P. Rubens pinxit"
Condition: exceptional 19th century impression in superb—near pristine—condition (i.e. there are no tears, holes, folds, stains, abrasions or foxing). There are pencil notations on the lower edge of the sheet (recto). I am selling this large, spectacular and important engraving by one of the finest reproductive engravers of the 17th century for a total cost of AU$187 (currently US$143.55/EUR136.58/GBP115.29 at the time of this listing) including postage and handling to anywhere in the world. 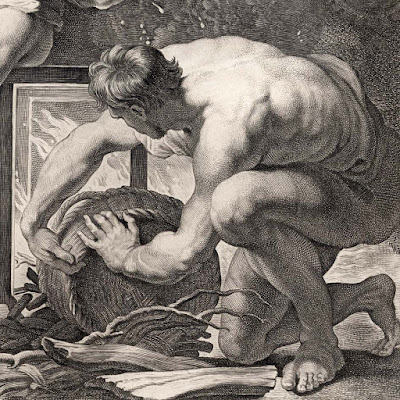 If you are interested in purchasing major print from the Renaissance era, please contact me (oz_jim@printsandprinciples.com) and I will send you a PayPal invoice to make the payment easy. 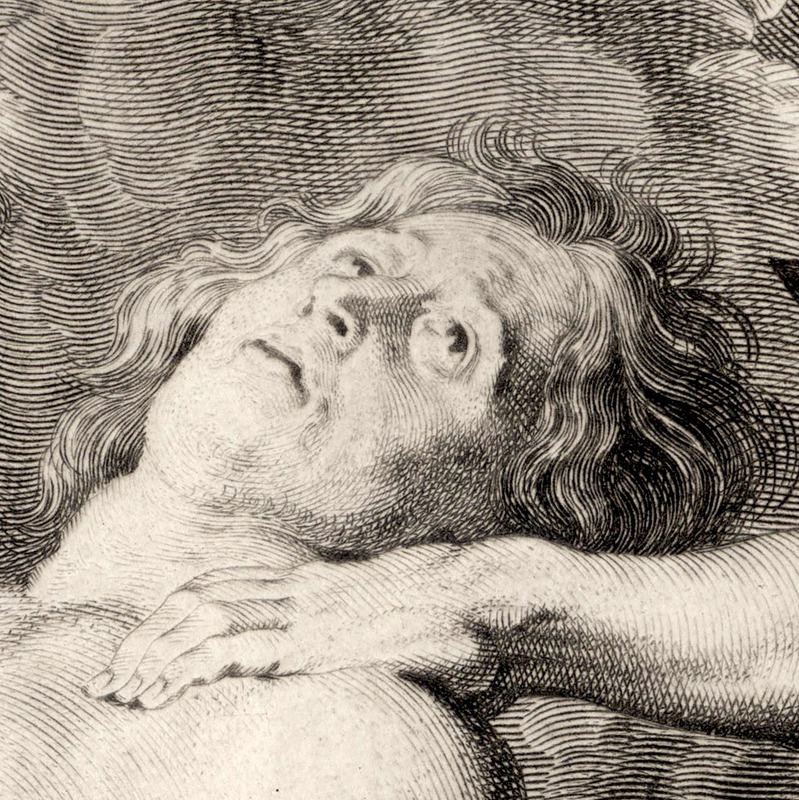 Vorsterman is one of the greatest printmakers of the 17th century in terms of the art of translating colour, texture and tone of paintings into prints. 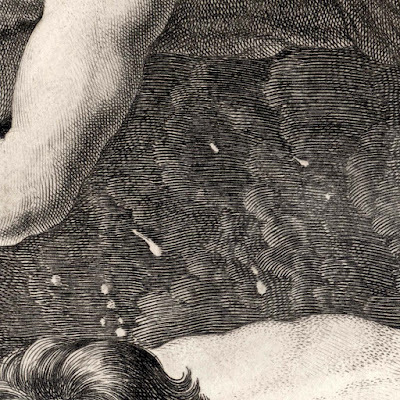 He was certainly the finest reproductive engraver/etcher of Rubens and Van Dyck’s designs. Sadly, like most intense and obsessively committed artists, he was prone to having/creating explosive relationships with those he worked with. 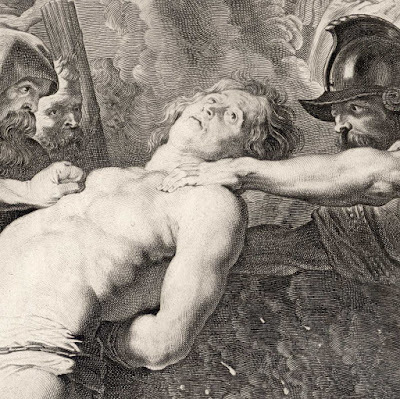 Accordingly, his working relationship with Rubens ended abruptly in 1622—so abruptly that there was a rumour that Vorsterman may have almost stabbed Rubens to death! From what I understand, based on what Rubens wrote to Peter van Veen in April 1622, Vorsterman had delusions of grandeur. 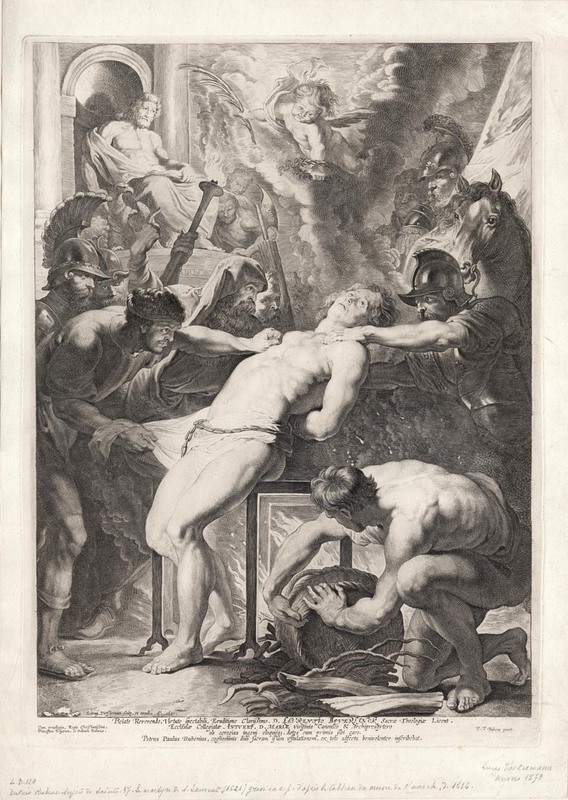 Vorsterman’s falling out with the artistic luminaries of the time, however, simply redirected his energies into the discipline of being a print publisher and in the same year of his calamitous disagreement with Rubens he was awarded a six-year publisher’s privilege from Archduchess Isabella of Austria. 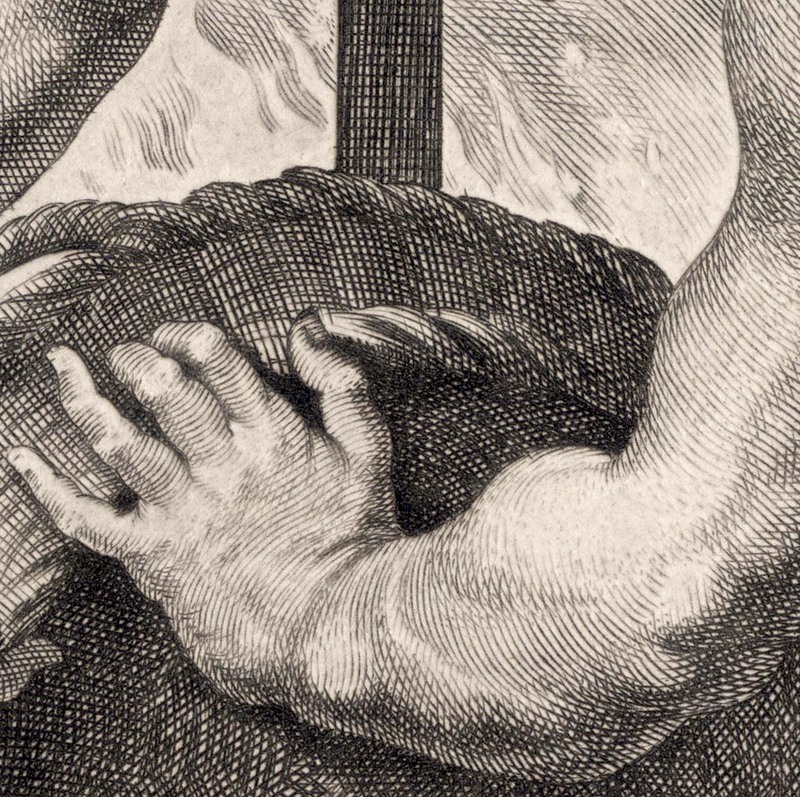 Interestingly, this print was both engraved and published by Vorsterman, but under the privilege (i.e. copyright) of the Spanish Crown rather than Austria.